Will be sold in the system initially. Card only sales will be on Project base only. Prices will be quoted after project review. 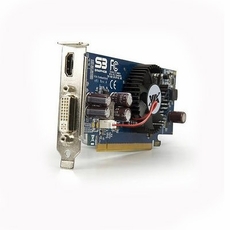 S3 Graphics' leading edge embedded graphics technology maximizes computing efficiency and visual performance when its silicon is used in conjunction with embedded platforms requiring extra horsepower or display connectivity. For a performance boost, the S3-based VIA card solutions significantly increases user experience in 3D/2D, vector graphics, HD video and novel visual user interfaces and augmented reality, all with best-in-class energy efficiency. The graphics cards also bring a new level of cinematic experience through multi-display technologies that gen/frame lock displays to provide expanded viewing of information, graphics, text, images, and HD video. 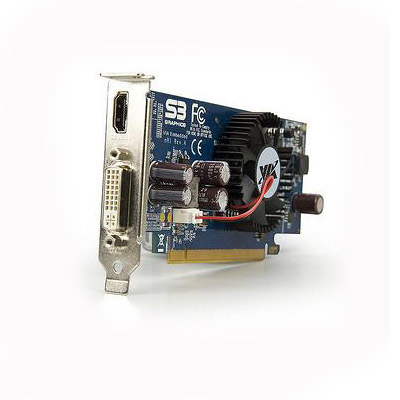 The latest generation of Chrome 5400E series cards support Microsoft DirectX 10.1, OpenGL 3.1, and a host of video playback technologies which includes hardware Blu-ray/HD (H.264, VC-1, WMV9, MPEG-2) decode support. The S3 GPU has the latest graphics architecture based on Unified Shaders that accelerate and dynamically allocate stream processing units for graphics execution to enhance vertex, pixel, or geometry data for dynamic realism in 3D applications. The Unified Shaders can also be utilized for GPGPU (General Purpose Computing on GPUs) technology to accelerate parallel-based, computation-intensive applications for color correction, video encoding/transcoding, engineering, scientific, medical, and signal processing, delivering better synergistic effects than other computing platforms utilizing non-GPU accelerated solutions. Combined with a VIA NanoTM multi-core platform, the S3 Chrome series support video wall signage solutions that scale and expand to over four, eight, or more independent or spanned displays in various configurations like 2x2, 4x2, 2x4, 3x3, 4x4, and higher. S3 also provide a configurable multi-display driver and customized porting support to enable hardware acceleration of features on customer proprietary designs for faster time-to-market. Digital signage developers and vendors can enjoy a value-added product with an efficient design in a cost effective product that can scale to display requirements and lower system thermals to replace hotter, larger, bulkier, and expensive systems.